We reserve the right to substitute a product of equivalent value where a listed product is unavailable. When making substitutions we don’t call the sender as this could delay the order from being delivered on the requested date. Seasonal conditions affect the supply of flowers. Specific varieties or colors may not always be available or meet our quality standards. In some cases, substitutions may be necessary to fulfill your floral arrangement. Choosing the right flowers is a very important and emotional statement, we will pay close attention to design elements such as size, style, colour and balance, and when a substitution is necessary, similarly shaped flowers will be used. If we are out of a particular decorative element such as a vase, basket, or ceramic container, a similar one of equal or greater value will be substituted. 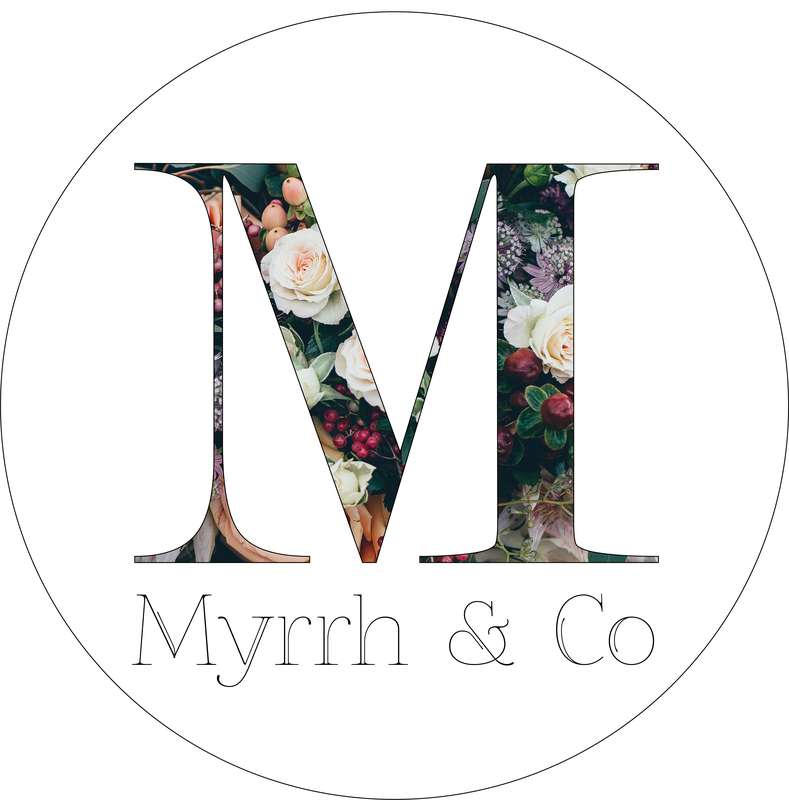 Myrrh currently delivers to the Mt Maunganui, Tauranga and Papamoa areas. Orders placed before 2pm are eligible for same day delivery. Flowers are delivered between 5-6pm. Orders placed after 2pm will be delivered the following day. In the highly unlikely event that your flowers are not received, please contact us as soon as possible so we investigate your order. (Non-delivery queries must be lodged with us within 7 days). If you have given us a wrong address we are more than willing to redeliver your order providing you pay for an additional delivery charge, however we are not responsible for deliveries if the recipient is not at the location at the time of delivery. If you are the customer, you must make sure that the recipient will be at the location on the date given on the order for delivery. Flowers will always be left at the address in the safest place possible. To avoid delay with your order, if you select the incorrect delivery charge when using our checkout, we reserve the right to charge your account the additional amount without confirmation. We do not collect personally identifiable information on our website, such as your name, address, e-mail address or telephone number, without your knowledge. Such information is collected only when you knowingly and voluntarily submit it to us (as, for example, when you contact us via e-mail). We only use such voluntarily submitted information for the purposes for which it was submitted. We have used tested technologies to ensure the security of information transmitted via our web site and maintained in our possession. When you place your order “checkout” you will see a lock icon appear on the status bar of your browser. This indicates that the data that is submitted is encrypted while in transit and so cannot be viewed by anyone other than our gateway company Payment Express. Myrrh is committed to providing quality products to our customers. If for any reason you are not completely satisfied with your Myrrh gift it may be exchanged for another gift to the same value. Higher value gifts may be substituted with payment of the difference. Return the unwanted gift to our store at the Cruise Deck, 169 Maunganui Rd, Mt Maunganui within one week of purchase. Returned goods must be unused and in resalable condition and be accompanied with an explanation for your return. Please note – floral gifts are perishable and cannot be exchanged or refunded.